Aiden Byrne – Gluten Free? No Problem! 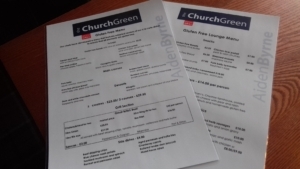 Here at the Church Green, our chefs have worked to adapt our current Summer Menu’s in both Restaurant and Bar to offer Gluten Free versions of as many dishes as possible! We can cater for any other dietary requirements, just speak to your server who can liase with our team of chefs to produce an excellent dish just for you.